At Acubalance, our multidisciplinary approach to healing injuries and resolving pain starts with an in-depth evaluation of your whole body and health. Our integrated approach incorporates both research-based and time-tested treatments combining laser (LLLT) / Photobiomodulation, acupuncture, naturopathy, diet, supplements and mind body tools shown to resolve pain. Rather than the traditional symptom-based approach, we address the underlying causes of pain using a patient-centered approach addressing the whole person, not just isolated symptoms. One of the treatments we use in resolving your pain/injury is laser (LLLT) / Photobiomodulation. 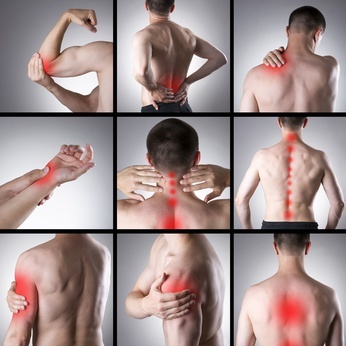 The LLLT system and approach we use has positive effects of reducing pain in a number of areas. Learn more about LLLT. Contact us at 604-678-8600 or email clinic@acubalance.ca to book your complimentary 15-minute phone Q&A to find out how we can get out of pain and get your life back . Or if you are ready to take back control of your health, book your initial consult now to see us in-person for a consultation and health audit.